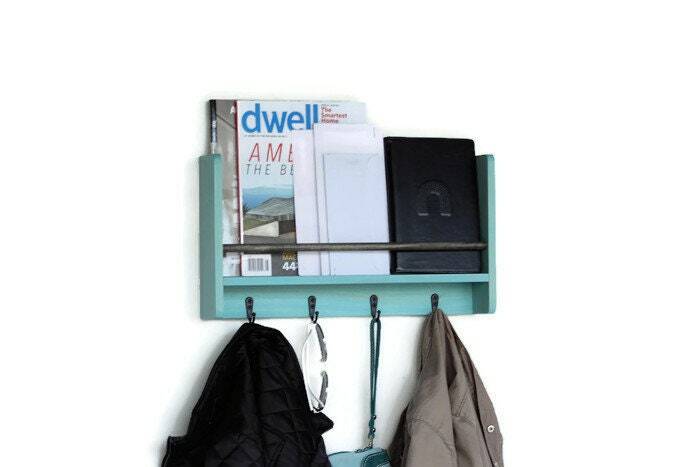 Keep your entryway, mud room or virtually any room in your home or office organized and stylish with our entryway mail and organizer with coat hooks! 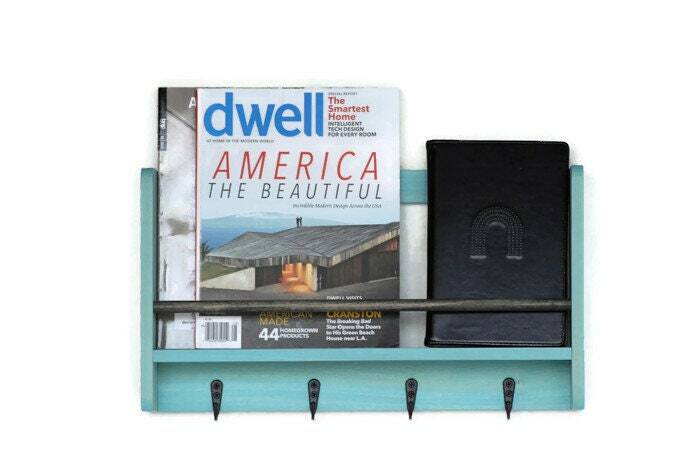 Our multifunctional wall organizer servers a variety of purposes, from functioning as central wall storage for items like mail, magazines and sunglasses to keys, coats and dog leashes. 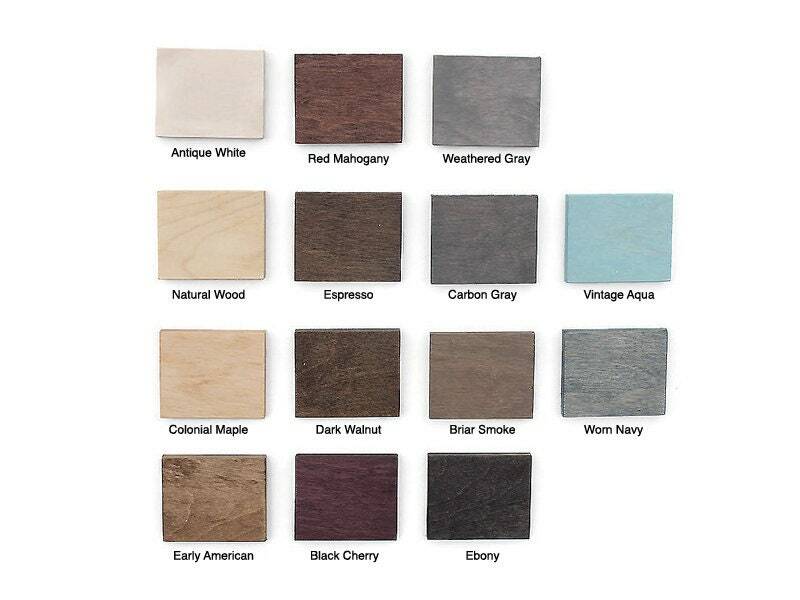 • Color: Please choose wood stain for body and rod colors from drop down boxes. 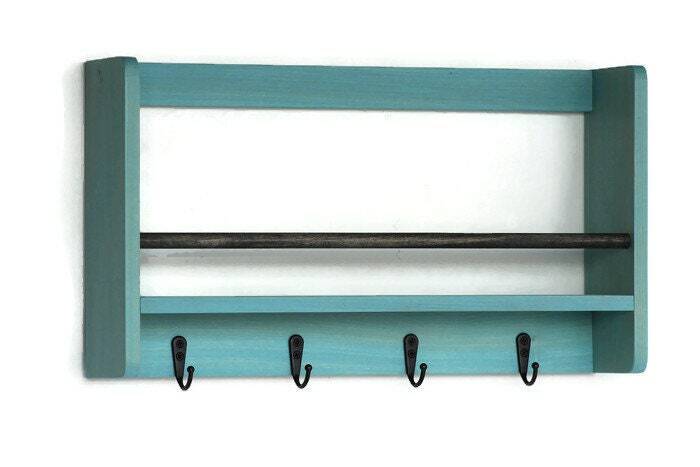 (Vintage Aqua Stained body with Ebony stained rod pictured here). Item is finished in a matte clear coat. 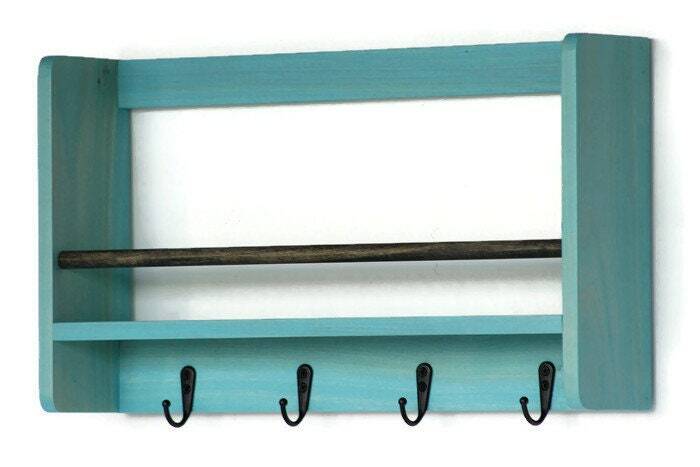 • Made of solid premium pine, our coat rack features three black hooks. * Please be advised that wood grains vary from product to product, and may absorb stain differently from one item to the next. 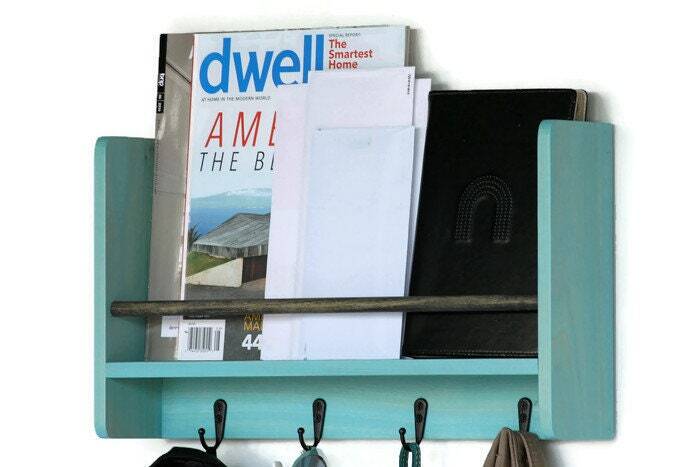 • Your entryway mail and key holder ships via USPS in 5-7 business days following receipt of payment. • Kindly allow 7-10 days for custom requests. Custom orders are final sale.